2 of my productions have been selected by the german Reality Bites Records for their Uplifting Trance Tunes Vol. 8 compilation. The massive Rex Brandtner & French Skies remix of Tezija & Keyra vs Paul Farrin – Return Of Exor is featured on this compilation. Also on this compilation is Sivan Khan & Rex Brandtner – As Time Shifts. From my label Club Nation Records there are 2 Matt Pincer tracks featured on this album. One Night in July and NRG. 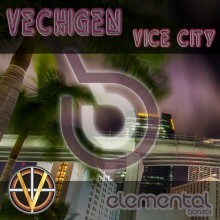 Get it now from Beatport. It’s finally time to release something other than music. This time the release of my official artist and portfolio website. On this new website you can find all information about my productions, single releases, remixes and featurings of my music on worldwide released compilations (digital/CD). I will also add all my new videos to the website and you can find the latest news about my productions.